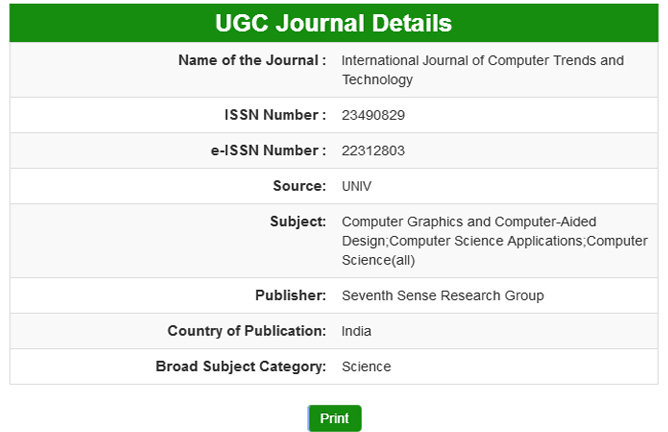 Authors have to submit their manuscripts in the IJCTT format. Submissions must include title, abstract, keywords, authors and affiliation's, email addresses. Please indicate the corresponding author. Manuscripts submitted to this journal will be deemed as they have not been published and are not under consideration for publication elsewhere. As soon as possible based on the reviewer reply. Authors of accepted papers would be informed about the review results after completion of the review process. Account details will be send in the acceptance mail , you can pay through bank , Online Banking, Online Payment through our SBI payment gateway. Other countries authors can use PayPal, Account Transfer, Wester Union Money transfer, etc. Within 10 - 15 days from the date of online publication.